Fall, in my opinion, is one of the most gorgeous seasons there is. Whether it be because of the colorful foliage, or the cool breeze reminding you that winter is just around the corner, or all the cute creatures scurrying about to collect food for winter, it always seems to be so beautiful. And what better way to celebrate the beauty than decor that it is inspired by? Even better, having it on the porch to welcome those guests to your house filled with the joy that autumn brings! I have collected a handful of DIY fall porch projects that will help you with just that! So let’s move forward to this collection of DIY fall porch projects to get inspired by! First up, we have a decoration made by Organized 31 that is a great way to express your thankfulness! In addition, it can be made with those straggling game pieces that just refuse to be limited to the box. Another way to be thankful for everything you have, even the messes! 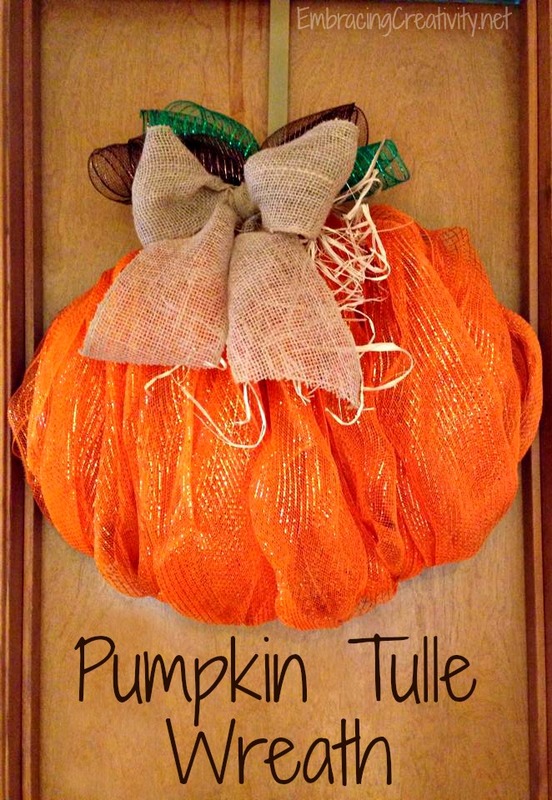 Among some of the most known decor for fall is pumpkins, a decoration you just can’t skip. This tutorial by My Printly will show you how to add these gourds in your own assortment. Here is a tutorial to make the classic pumpkins new and fun! It is also a really fun craft, so you can enjoy it while you make it and afterwards! These Doily Pumpkins from Mod Podge Rocks are fantastic! They remind me of a fall craft I would have seen on a porch in the 1970’s. Adding a wreath to your door is always a nice touch! I love that this one from Embracing Creativity can be used all fall. Adding a few of these DIY Candy Corn Luminaries from Education Possible adds fall color and light to your porch when the sun starts to set a little earlier every evening. Adding fall leaves to your front porch is a wonderfully festive way to welcome fall! 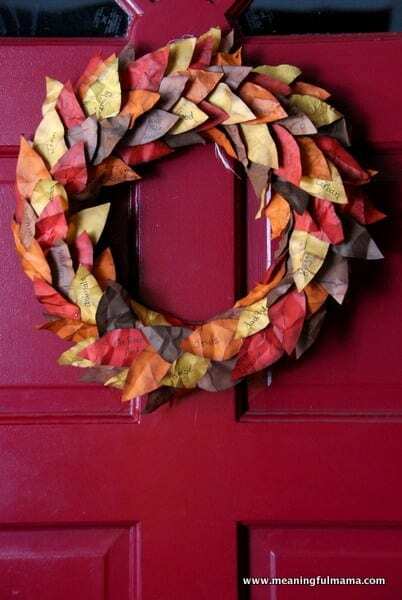 I love this Paper Leaf Wreath from Meaningful Mama. What I love most about all 7 of these DIY Ideas is that the expense for creating any of these projects is minimal, and all 7 of these are inexpensive yet gorgeous ways to add some flair to your front porch! Which of these 7 DIY Fall Porch Projects do you think you would most like to add to your front porch? I think the faux pumpkin vases will make for a great way to show off my gorgeous fall mums!